Selcuk Iletisim is a “peer-reviewed” journal covers all scientific studies in communication sciences based on research, idea, practice, etc. Within this scope, our journal, which covers scientific papers related to communication sciences and other related areas aims at contributing in the communication field scientifically by providing studies in accordance with academic standards. 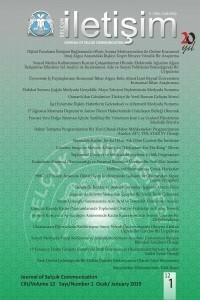 Selcuk Iletisim is published biannually in July and January. All submitted papers to the journal, are taken under preliminary consideration by an editorial board and then they are published after at least two favorable reports of reviewers.